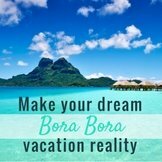 Looking for an affordable place to stay so you can vacation for a week or more in Bora Bora paradise? 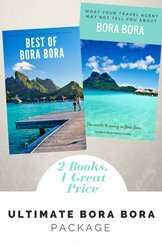 Come to Bora Bungalove! 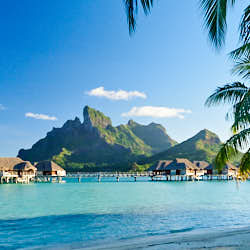 Set within a florid Tahitian garden, next to the blue, deep­water side of the lagoon, Bora Bungalove offers magnificent vistas across the water to Teivaroa Motu, Teivanui Pass and Maupiti island (often called "Little Bora Bora"). 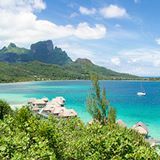 This affordable Bora Bora pension is located on the western side of the island so you also have front row seats to the sun setting over the Pacific Ocean. 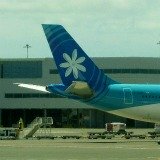 You may even see a ship navigating through the narrow pass into the lagoon to dock at Fare Piti. 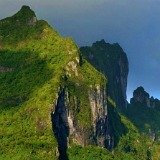 The majestic peaks of Mt Pahia and Mt Otemanu, protruding from the verdant inner isle, provide an awesome backdrop. 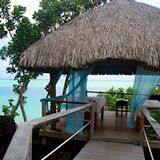 At Bora Bungalove there is only one guest bungalow on it's grounds. This means you have the exclusive enjoyment of relaxing in tranquillity around the entire garden, complete with waterfall and fish pond! You stay in an intimate cottage, next to the lagoon, with your own private en­suite, which is partly outdoors (and adds to the thrill of being on a tropical island). 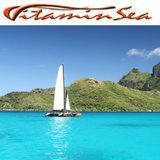 This is the real Tahitian experience! 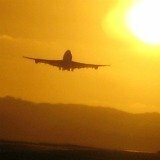 Yes, you can escape to the world’s number 1 island, for an amazing adventure, without the pomp and extravagance of an international hotel, as well as the accompanying prices. 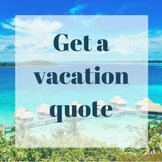 As Bora Bungalove provides free transfers from and to the Vaitape Pier to connect with Air Tahiti’s complimentary boat shuttle service (between the airport and the main island) you will also save on boat transfers. 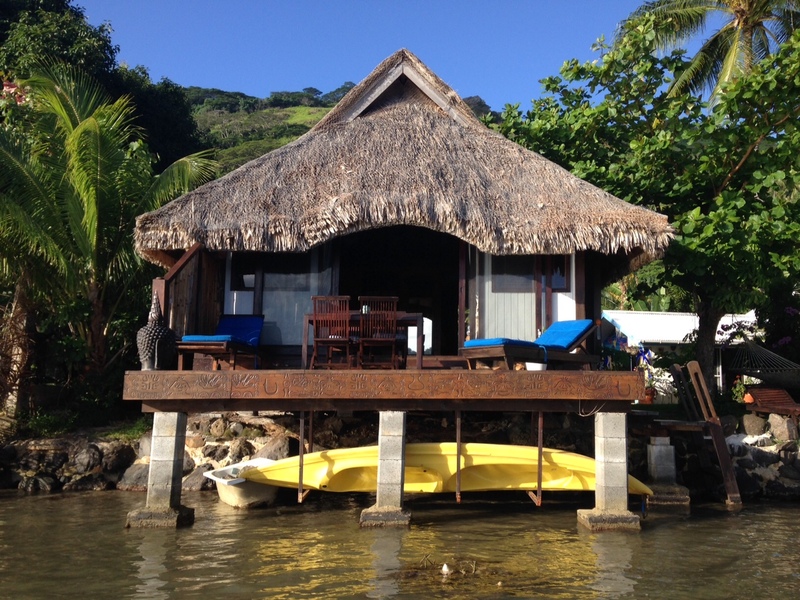 Free activities: Bora Bungalove offers bicycles (a fit person can cycle right around the mostly flat, Circle Island Road in several hours), kayaks, masks and snorkels, plus access to inland mountain hikes. 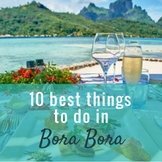 Here’s more ideas for free activities on Bora Bora Island. 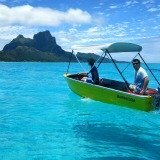 Excursions and activities nearby: Island tour by outrigger canoe with picnic on an island motu. See stingrays and black tip sharks. 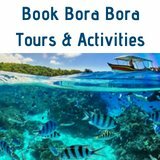 Tour the island (at resident rates), with the your host, Marc-André, who is an artist and guide to Bora Bora! 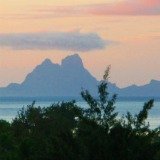 This budget Bora Bora pension is only 2 km from Chin Lee’s well stocked market store (including great priced wine and beer) at Vaitape. Here’s lots more ideas for yummy cheap eating on a low budget. You won’t even have to leave your tropical nest to taste some fabulous French Polynesian cuisine. Your hosts, Annette and Marc-Andre excel in welcoming and taking care of visitors. You can even book to dine (with or without the company of your hosts) in the evening, on the private jetty for 29 Euros (US$36) each. 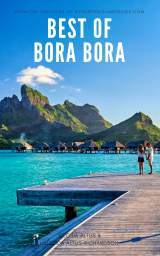 What you get at Bora Bungalove? 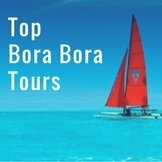 TIP: Nightly tariffs in Bora Bora are very seasonal, so if you can choose when to go to Bora Bora, and you’re on a budget, check out prices in the low or shoulder months. From $100 per night for 2 people. 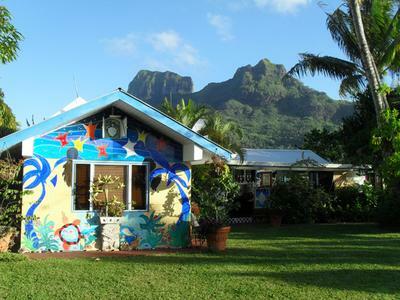 At Bora Bungalove it’s also possible to have 2 children in a room adjacent to the main house for $50. Continental breakfast is $11 per person. Full dinner menu for $36 per person. You can anticipate a warm welcome from the hosts as you are their only guests on the property. 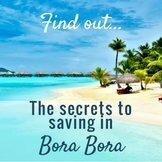 Another advantage of staying at a Bora Bora pension, like Bora Bungalove, is that you can glean local knowledge from your hosts.